A neuromuscular dentist is concerned about how the system of 1) facial muscles, 2) jaw join ts and 3) teeth work in harmony to create a neuromuscular balanced physiology. How the upper and lower teeth come together (bite or occlusion) as the mouth closes requires every part of the system to be in coordination. If any one part of this system does not work properly, let’s say teeth that don’t meet properly in a misaligned bite, then the muscles and joints must accommodate usually by overworking. Muscles that normally should be relaxed are now tired and overworked, which leads to eventual jaw joint problems. 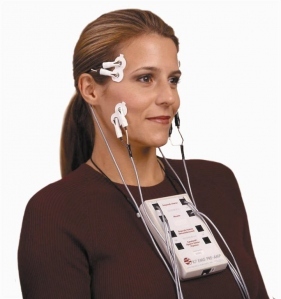 Neuromuscular tests before any complex dental treatment. As neuromuscular dentists at NYC Smile Design, we perform tests using computerized technology to provide detailed information about the status of the muscles and joints. 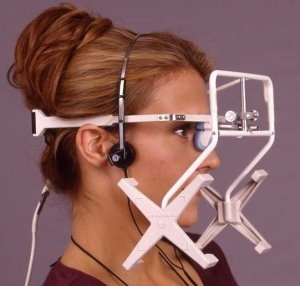 With the aid of computerized jaw tracking, we are able to measure the pattern of jaw movement and opening and closing. With the aid of Electromyography (EMG) tests we can see how the muscles function, where they should be and how rested they are when they need to be. Another option available to us is Sonography. With this test we are able to graphically represent the sound the jaw joint is making and determine their status of whether the joints are healthy or otherwise. This information helps us diagnose so we can create a treatment plan that not only affects the appearance of the teeth and smile but can it also address the issues that can affect the overall health and well being.